In response to Sinn Fein pressure to wheel and deal on issues such as Policing and Justice, the Irish Language Act and academic selection for grammar schools the DUP are positioning themselves for another fudge. The betrayal of the working class unionist electorate will take the form of “compromise” on academic selection at 14. 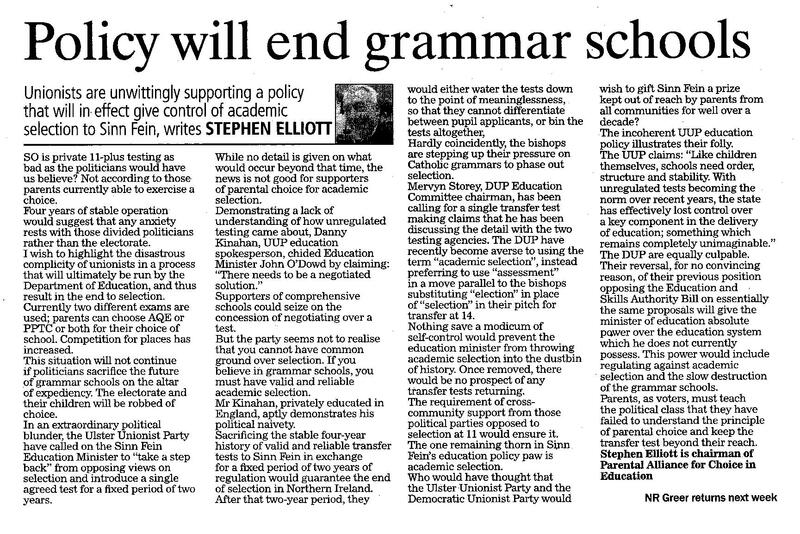 What clearly escapes the brain trust of the DUP “intelligentsia” is that removal of academic selection at 11 combined with the revised curriculum mean that comprehensives replace the grammar school system. Sinn Fein can only deliver on comprehensives with the support and collusion of the DUP. That the DUP have even contemplated supporting the removal of choice, equality of opportunity and the ending of grammar schools indicates the extent to which the artifice of the Assembly and Executive pantomine must be protected and preserved. 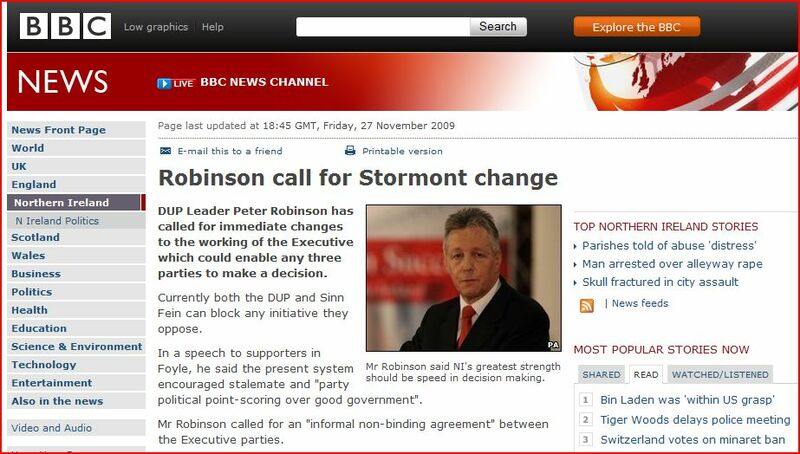 Be prepared for a DUP announcement shortly.